Convenience, value, and quality products are what our office coffee service offers. Monumental Markets strives to be our customers’ best and only choice. We carefully select the finest coffee brands that are flavorful, fresh, and delicious. 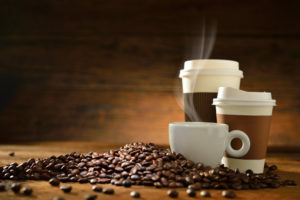 On request, we also offer specialty beverages as part of our Tysons, Virginia office coffee service, such as craft coffees or cold brew coffee. Contact us to find out more. Whatever your staff’s needs, we can work with you to ensure you have all of the equipment, products, and coffee supplies necessary for a satisfactory experience every day. As your needs change, our services are scalable so we can increase or decrease any or all of the supplies we deliver to your office. Our representatives will work with you so that the office coffee service we offer you reflects your company’s wishes. We can customize your deliveries to fulfill your budget, tastes, number of staff, and other needs. This includes coffee cup sizes, supply containers, signage, coffee machines, and more. Talk to a sales representative from Tysons, VA’s most preferred office coffee service learn more. Monumental Markets understands that no two companies are exactly the same, and we don’t expect everyone to want the same exact office coffee service. That includes our delivery service. If your company prefers that our representatives clean the coffee machines and service area, we will be pleased to do this. Alternately, if your staff prefers to perform these services on their own, that is also an option. We can also restock the supplies, or simply drop off fresh supplies for your staff to handle. Do you have remote office locations? We can ship supplied to them so that your company does not have to do this. Tysons, VA’s premiere office coffee service includes machines that users can use with confidence. Monumental Markets provides machines that not only work well and efficiently but are also attractive. You can be assured that your customers and staff will not find our machines an eyesore or embarrassing. We offer brewing machines that are bean to cup, single serve, or commercial thermal pot/airpot. We can also provide you with an espresso machine on request as part of your office coffee service. Monumental Markets wishes to offer your Tysons, VA staff the office coffee service that will satisfy a wide range of tastes—give us a call today to find out how we can provide the beverage solution of your choice.